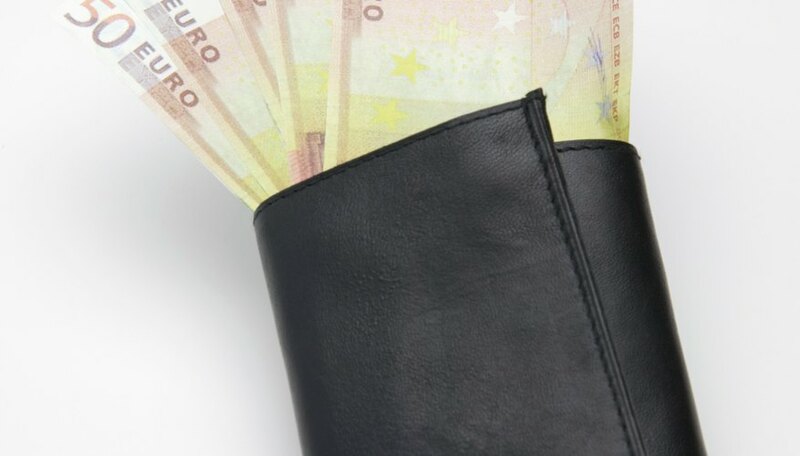 A man's wallet carries the important items that he uses throughout the day. There are many styles of wallets, but the tri-fold is common due to its compactness. You can make your own wallet out of a piece of leather from a fabric or craft store. A custom wallet can be whatever color and style of leather that you want. Lay one 4-by-9 piece of leather on a work surface. Place a 3-by-3 1/2 piece on each side, lined up with the lower corners of the large piece. 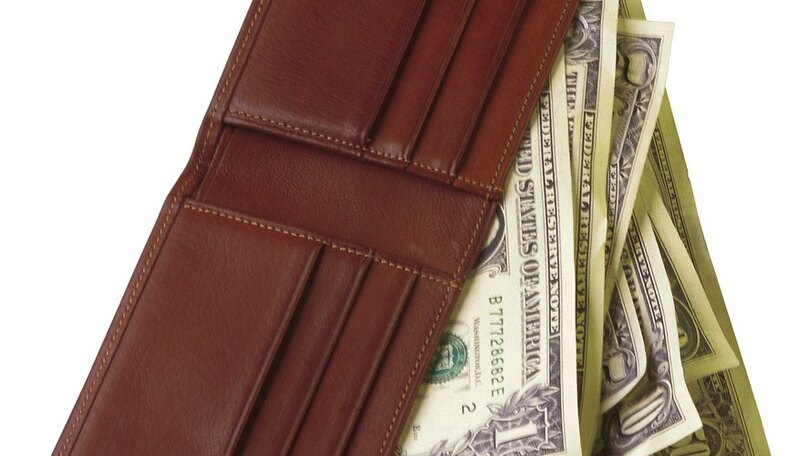 Stack a 3-by-3 piece onto the sides of the wallet, followed by the 3-by-2 1/2 pieces. Align all pieces with the bottom and sides of the large piece to form sleeves for credit cards. Sew the sides and bottom of each stack to the large piece of leather, leaving the tops open, using a leather needle and heavy thread. You will likely need to use a thimble to push the needle through the leather. If using a sewing machine, ensure that it is equipped with a leather needle. Lay the sewn piece of leather onto the other 4-by-9 piece, with the sleeves facing up. Sew the sides and bottom of the wallet together, leaving the top open for cash. Fold the wallet into thirds and place it under several heavy books or another source of weight. Leave the wallet under the weight until it remains folded without help.